Mister Star Bangkok 2018 starring students in Thai Dramatic Arts. 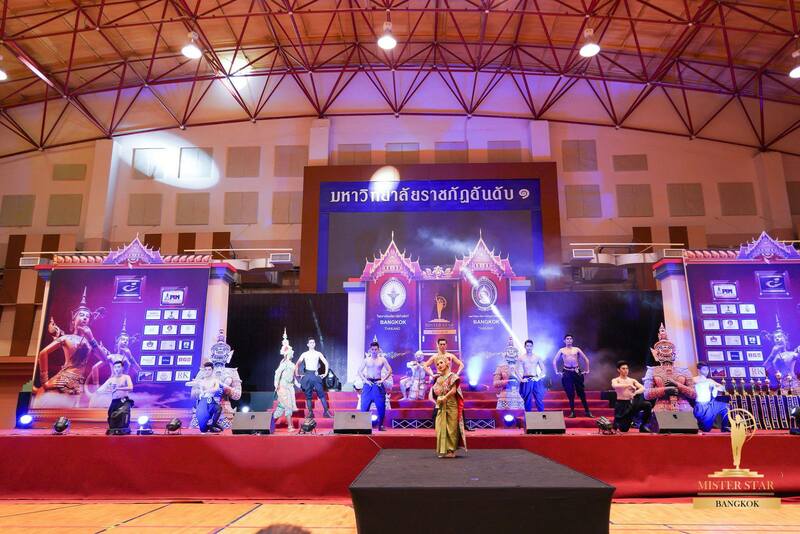 Show name "Bangkok Dancer"
Home > News > PR NEWS > Mister Star Bangkok 2018 starring students in Thai Dramatic Arts. Show name "Bangkok Dancer"
Mister Star Bangkok 2018 Stage for young Thai people with good looks. On June 2, 2018, at the Health and Sport Center 4th Floor, Suan Sunandha Rajabhat University. The Department of Performing arts Thai Dramatic Arts Faculty of Fine and Applied Arts The honor of the show. Performed by Thai Drama Students Show name "Bangkok Nattakarn" and also practiced for all contestants to perform in this performance by rehearsing at the Thai dance laboratory 4th floor Faculty of Fine and Applied Arts.